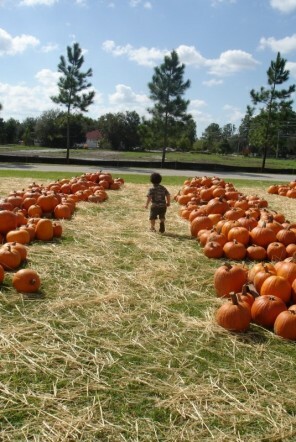 OMG – I have never been to a pumpkin patch before! (And for the record, I’ve never carved a pumpkin either, but we’re not talking about my childhood inadequacies right now). I’ve passed by dozens of patches – all perfectly laid out and colorful – but I’ve never actually ventured through one. I always see the cute photos other people take of their kids. What is it about fresh pumpkins, some grass, and a clear sky that can make any photo turn out absolutely beautiful? So yea, this playdate was another one for ME – of course. You already know the drill… I was so excited to be doing this playdate that I think I would have gone without the kids if they had gotten sick. Let their dad deal with it all – he needs to learn how to take care of both of them all by himself like I do every single day. 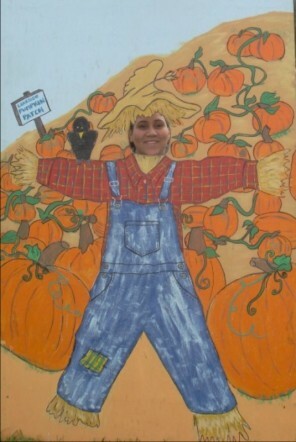 So anyway, the playdate consisted of a storybook reading, some pumpkin’ pickin’ and decorating, plus TONS of photo ops. I’ve said it before and I’ll say it again. I don’t know who’s hilarious idea it was to create ‘the playdate’ scheme. There were at least 15-20 moms there and I’m sure I only talked to about 5 women total. The same women I’ve talked to at every other playdate. In actuality though, were there more than 5 women? Or was I so busy taking photos and watching my lil’ man run by that everything became a blur and my eyes started playing tricks on me? And for the record, can I just point out real quick that when you ask a question and the other person keeps walking by you like if they didn’t hear you, people start thinking that you’re really losin’ it. Wait. Isn’t blogging the same thing? OK, so moving on… we did the photos, the running around after the kids… now it’s time for the REAL fun to begin! 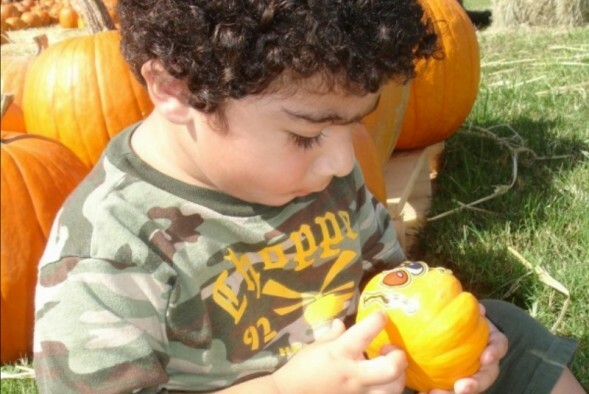 We went into the microscopic-pumpkin patch (how cute! 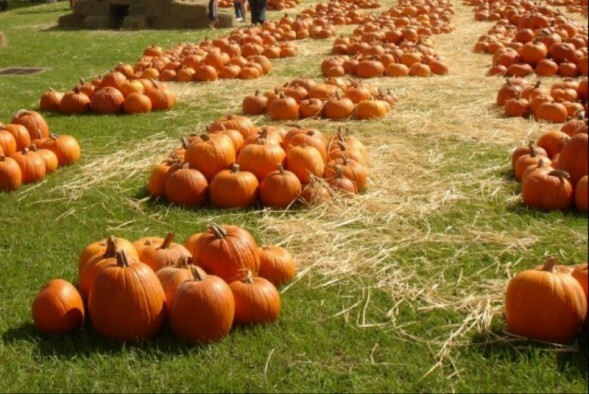 I feel like I’m easter egg-hunting) to select our pumpkins. My son had absolutely no interest in the whole activity besides throwing the pumpkin around. What a safety hazard! He could have hit another little kid. So I did what any other mother would do in a situation like this. I picked my own two pumpkins for my kids and then ran to get the stickers to decorate it. Gimme’ gimme’ gimme’! Where the hell is the sticker lady? 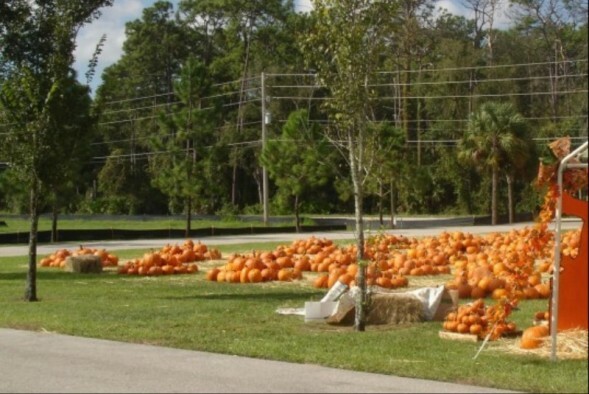 OMG – did I just say ‘hell’ in a church pumpkin patch? Uh oh… where’s my kid? I had such a blast running to all the possible photo op locations after that. 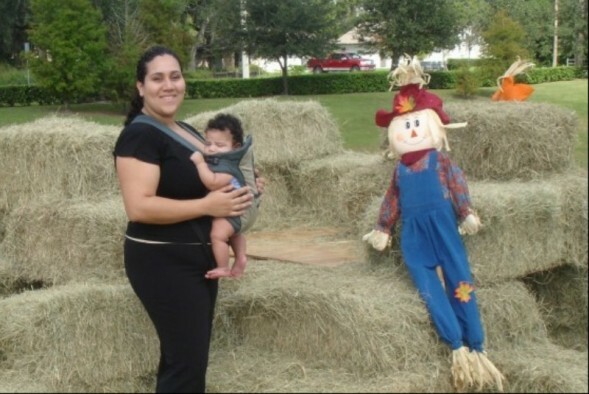 I took pics of my kid, my friends kid, unknown kids, big kids, little kids, mommies… the best was when I had my picture taken like if I were a scarecrow. What fun! The kids all got a little treat bag filled with a mini bag of pretzels, a plastic kazoo-like thing, a mini bag of gummies, and a coloring page. My husband and I ended up eating the gummies – and the pretzels subsequently ended up all over my bedroom floor after I tried to get my son to eat them.